The Fortnite in-game message of the day has since changed and with it teased the new assault rifle which will be coming to the game soon. We can expect to see the new assault rifle come to the game in the upcoming patch thought this has not been confirmed by Epic Games. 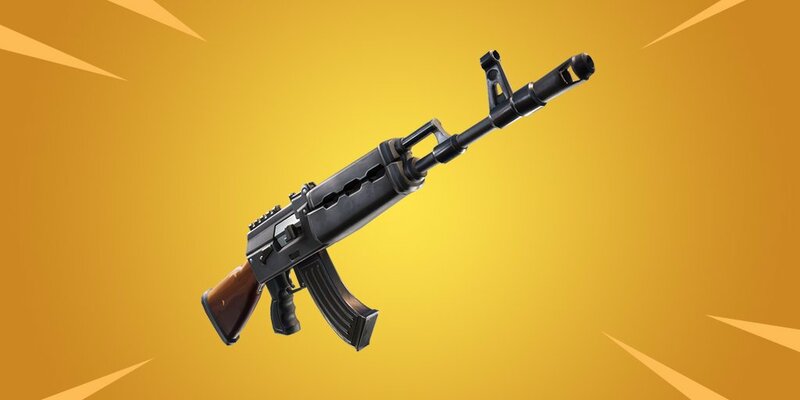 Now as you can see from the image above the assault rifle looks very familiar to the Kalashnikov AK-47, we can also expect to see the assault rifle in legendary and epic variants. Are you excited to try out the new assault rifle? Let us know in the comments below. If you enjoyed this article why not share it on social media. In other news, Ubisoft Is Making Big Cosmetic Changes To Rainbow Six Siege.